SATURDAY EVENING Nov. 9 – Chief Caleen Sisk of the Winnemem Wintu will be our keynote speaker during the 5-8pm session, culminating a day devoted to Salmon Nations. Chief Sisk is featured in the film Dancing Salmon Home, which won the Best Documentary Feature Award at the 2012 American Indian Film Festival in San Francisco. This film will precede her talk. Chief Sisk is nationally and internationally renowned as a cultural and environmental leader, speaking on behalf of her people, the salmon, sacred waters and sacred sites. 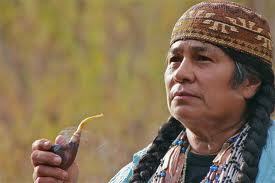 You can visit the Winnemem Wintu website on this link.